Thank you so much to every one who linked up last week! I was a bit shocked, but very happy at the response to the first This or That Thursday. I enjoyed seeing all your photos last week and can't wait to see what you're sharing today! I decided to go back about a month and share photos from the last day of our vacation. We visited the coke museum in Atlanta on our way home from the mountains. I've always wanted to go because I'm such a fan of diet coke. We learned about the history of the drink. It was invented by a pharmacist in Atlanta in 1886. Oh, and we learned that coke's best selling drink is none other than diet coke. I'm not surprised. The best part was getting to taste unusual soft drinks from all over the world. My favorite was this green drink that was pear flavored. Okay, now let's see what you've been doing with your camera! How fun. Great photos. Love the old coke machines. Accidently linked mine up twice and couldn't figure out how to delete one! Oops! Sorry! If there's a way, feel free to get rid of one. 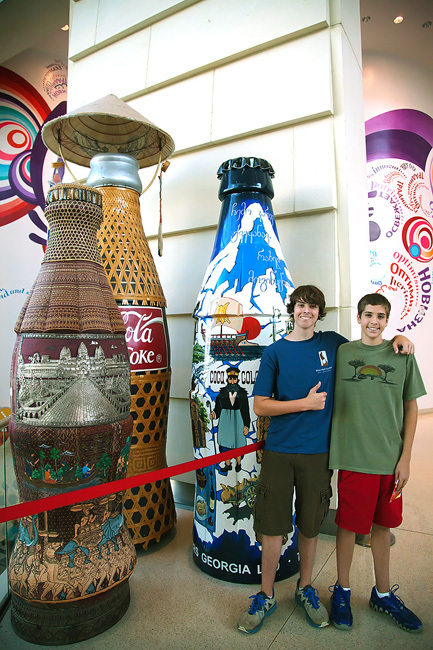 Never knew there is a Coke museum, but it looks really cool. My kids would love it! Thank you for your sweet comments. Just discovered your new meme. I would assume This or That means anything, right? Your photos are fantastic, Deb! I enjoy this meme very much because it gives me a wide range of things to post, and not restricted to just one specific subject, which some time couldn't be accommodate since life happens..Looking forward to more! 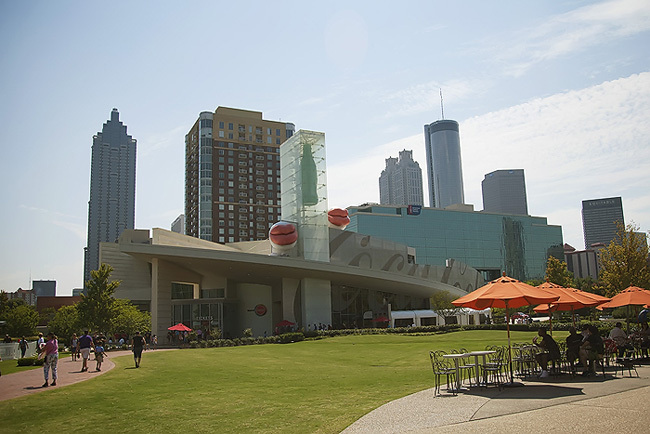 Would you believe I lived in Atlanta for years and never made it to the Coke museum? That pear drink looks delicious! I love diet Coke too. Looks like a fun trip. What a fun trip. I'm not surprised Diet Coke is the most popular...btw I gave you the Versatile Blogger award, feel free (or not) to participate! Love me some diet coke!! :) ~ Deb, you are so good at building memories into your boys! I love the pictures of the museum. It looks like fun! My husband would love it (Coke's his favorite!). I don't drink soda anymore so I wouldn't enjoy the different drinks but I would definitely enjoy the history of it. I've never been there but heard it was worth stopping by. Looks cool! Great pics, Deb. Thanks for hosting! Ooh, I love pear flavored anything! That sounds good! Love the shot of all the old Coke machines. Want a fun place to visit! Well- even though we drink Pepsi in this house- or I should say my hubs drinks it- I don't really drink soda- but I have to say that I am a HUGE fan of all the Coke memorabilia. Love Love Love it & I would be so stoked to be able to go there & experience that. It's the perfect iconic American culture. Love those pics Deb- looks like it was a really great time! Love the Coke museum photos, Deb. 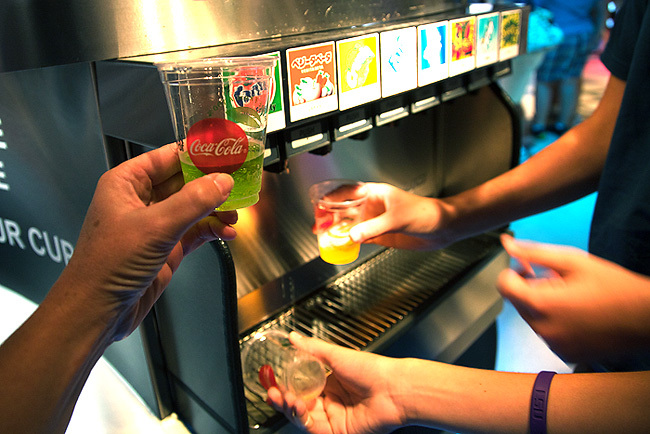 We went there with our teenage son and one of his friends a few years ago and they LOVED the different drinks. Fun. I would love to go there - we're not pepsi drinkers! Oh how neat - I would love to visit this place! That must have been a fun, fun place to visit. Looks like all are having a great time. Love those large coke bottles, especially the "wicker" one. Love the photo of the coke bottles! Love those red and white coke machines! thanks for the link Deb. I am a big soda fan, love it, but my limit is maybe 1 a week, would have loved that tour. Nice post. Too cool - I would love that museum!! Great pictures! I've heard awesome things about the Coke Museum! What a fun trip - great pics too! I'd love to visit the coke museum. I really like the red coke dispensers very retro. That museum looks like it was alot of fun as well as interesting. i ordered a coke ice cream soda recently and the lady brought out a cute older style glass coke bottle - and i can't believe a) that i didn't take a photo of it and (ii) i didn't bring it home with me ! Thanks for hosting this link up. Fun pictures!! Thanks for hosting this. What a great way to share all the pictures getting lost on my computer!! What great shots. I loved visting there many years ago. Sorry I didn't like up today. I'll be back next week!! One thing i cant live without is Diet coke. Loved scrolling through your blog - now following! My favorite diet coke is from McDonalds' YUM! That looks so much fun! We love, love coke! Looks like fun! My daughter would have LOVED it! Look how LOVED you are Deb! This is such a fabulous turnout! Hi, I'm a new follower and this is the first time I'm linking up. I look forward to seeing everyones photos. That cola place looks like a fun way to spend an afternoon. Deb, thanks so much for telling me about your post about THe World of Coca-Cola! I feel I have not been able to keep up wit hsome of my favorite blogs as of recent. I truly love yours and enjoy your photography! I'm glad i am not he only person intrigued by the World of Coke. Have a great weekend! Love the old time coke machines. yes, this looks like a fun meme. Omygoodness, I'm a fan of diet coke too!! 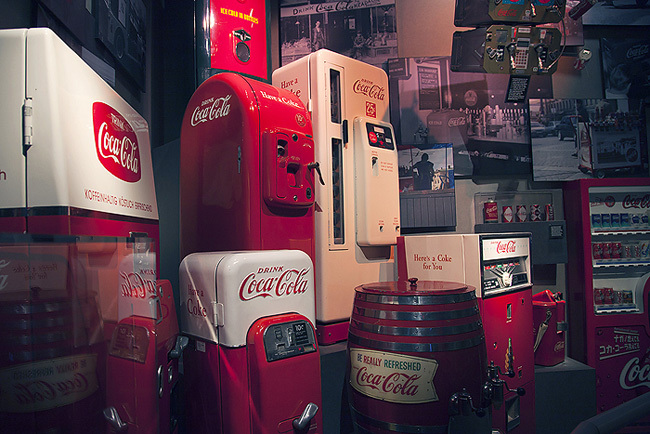 What an absolutely fun place to visit - Love the photo of the vintage coke machines!! I would have totally enjoyed that place! I love Vintage coke machines. I used to buy there before. I wish I could go there next year to see the museum.